Want to learn how to dance? Think you can dance? Want to be a part of a dance production? 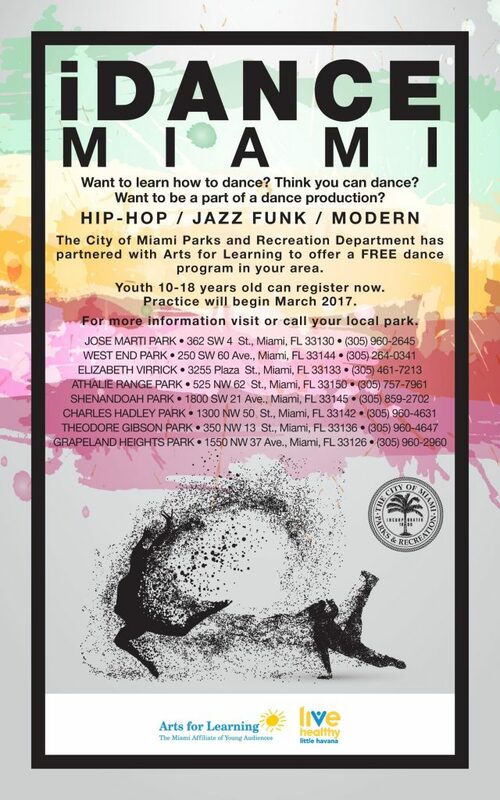 The City of Miami Parks and Recreation Department has partnered with Arts for Learning to offer a FREE dance program in your area. Register now for FREE after-school dance classes! Youth ages 10-18 can contact any of the park sites listed below to enroll in iDance Miami, a fun and free after-school classes in hip-hop, jazz-funk and modern dance. Practice will begin March 2017.